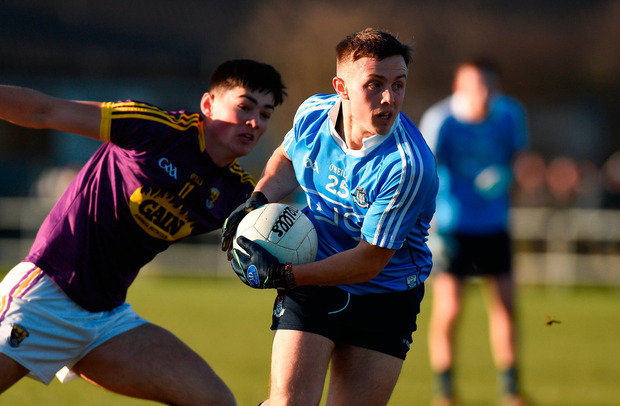 Niall Scully was the 'discovery' of last year's O'Byrne Cup campaign for the Dubs, but it remains to be seen if any of this season's crew will emerge to stake a long-term tenure in Jim Gavin's squad. 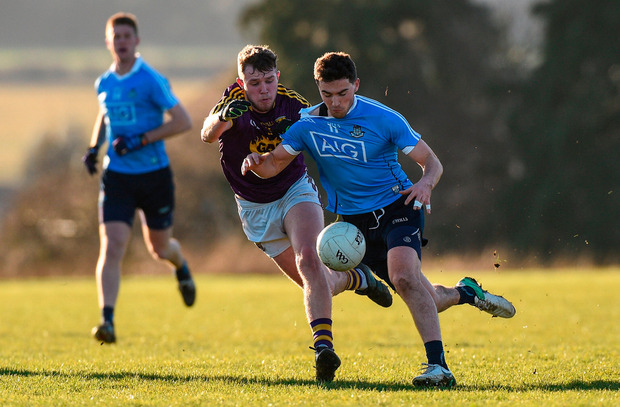 In Gavin's absence, as management and players conclude their team holiday in South Africa, a largely third-string Dublin bowed out of this year's pre-season competition in Enniscorthy yesterday. That much was to be expected as the group permutations meant they required a 17-point victory in St Patrick's Park to reach the semi-finals. As it happened, they looked poised to settle for a one-point comeback win against a seemingly wilting Wexford before conspiring to lose it at the death. Or maybe it was a case of born-again Slaneysiders winning it instead - take you pick. The visitors certainly looked in the box seat on the stroke of 70 minutes, when substitute Kevin Callaghan capitalised on incisive approach play by the perpetually busy Colm Basquel to land what had all the hallmarks of a winning score. 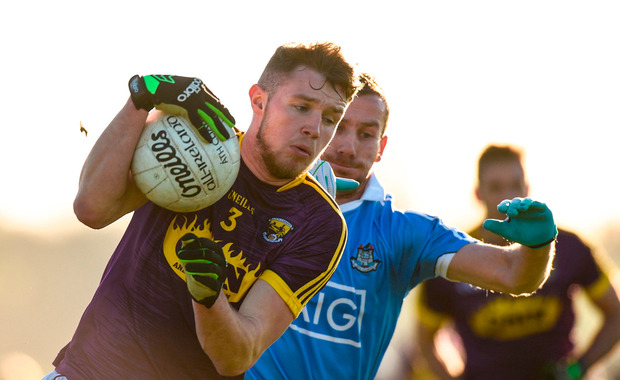 Prior to that, having turned to face the elements protecting a six-point lead, Wexford had managed just one pointed free, via Craig McCabe, in 35 regulation minutes. 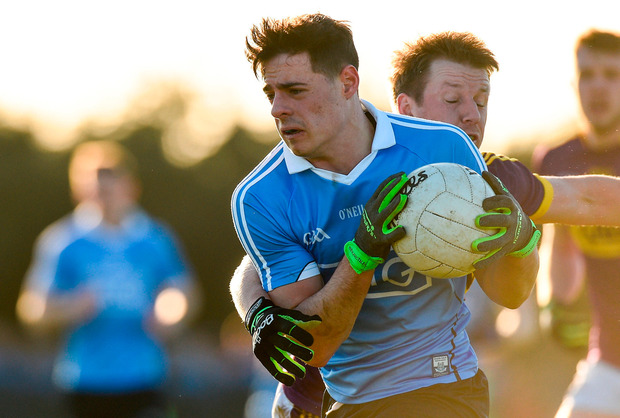 Even counter-attacks were a rarity as Dublin were bossing the play. But then Barry O'Connor was fouled by Ryan Deegan and McCabe gladly accepted the invitation to land a levelling free, over two minutes into stoppage-time. It got even better for a re-energised Wexford in the 74th minute, when O'Connor ran hard through the middle and crowned it all with a right-footed effort that was deemed to have crept inside the right upright. It was a welcome climax for Paul McLoughlin, especially after last weekend's opening-day walloping by Offaly. Not that the new Wexford boss was getting carried away. "Our own supporters, GAA people in Wexford, have to give us time. We are in no different position, I feel, after this game than we were in last weekend," McLoughlin surmised. "We are preparing for a really difficult league campaign. We have four games away from home, three at home. Division 3 this year is very tough, so we'd be happy enough that we played better than last week." That was certainly the case in the first-half, when Wexford made profitable use of the wind to construct a 1-9 to 0-6 interval lead. A fine individual goal from skipper Daithí Waters, in the seventh minute, seemed to imbue the hosts with confidence. There appeared little danger when Waters took possession, but he left several would-be tacklers in his wake to finish low past John Brian Carty. A variety of Wexford players took it in turn to score from distance, a passive Dublin guilty of standing too far off their men. Shane Carthy was introduced late in the half, but failed to resurface for the second. "He just didn't feel right," explained Dublin's stand-in boss Paul Clarke, citing fatigue from his midweek exertions against Offaly. 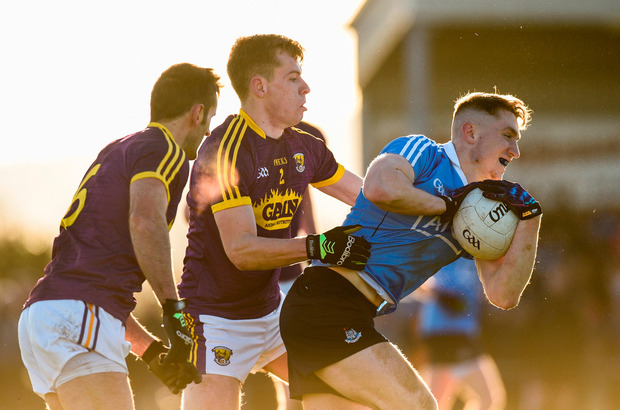 Even with the wind, it took Dublin a while to get fully motoring after the break, but then, midway through the half, a brace of booming points from midfielder Emmet Ó Conghaile kick-started an unanswered run of 0-6, culminating in Callaghan's late effort. Ó Conghaile didn't make the championship cut last summer, but was Dublin's standout player here, closely followed by Basquel and Brian Howard. All familiar faces to Gavin; whether any other fringe players are around for their league opener against Kildare remains to be seen. scorers - Wexford: C McCabe 0-4 (3f, 1 '45'), D Waters 1-0, C Devereux (2f), B O'Connor 0-2 each, T Rossiter, B Malone, R Frayne, G Malone 0-1 each. Dublin: C Basquel 0-5f, P Small 0-3 (2f), E Ó Conghaile 0-2, A Rogers, G O'Reilly, B Howard, K Callaghan 0-1 each. WEXFORD : P Doyle; J Rossiter, M O'Neill, C Carty; B O'Gorman, B Malone, G Malone; D Waters, N Doyle; T Rossiter, B O'Connor, R Frayne; C McCabe, P Curtis, C Devereux. Subs: J Stafford for Frayne (51), B Brosnan for Waters (55), D Holmes for Devereux (60), E Nolan for Stafford (inj 64), D Pepper for Curtis (64), A Nolan for Carty (inj 66). DUBLIN: JB Carty; R McGowan, C Wilson, E O'Brien; D Devereux, S McMahon, G Hannigan; E O'Conghaile, S Ryan; G Seaver, C Basquel, G O'Reilly; P Small, B Howard, A Rogers. Subs: S Carthy for Ryan (inj 27), R Deegan for Carthy (inj ht), A McGowan for O'Reilly (ht), D Kennedy for R McGowan (ht), C Doyle or Hannigan (45), K Callaghan for Seaver (48), T Quinn for Devereux (49), C Carty for Rogers (57), N Walsh for C Carty (72).